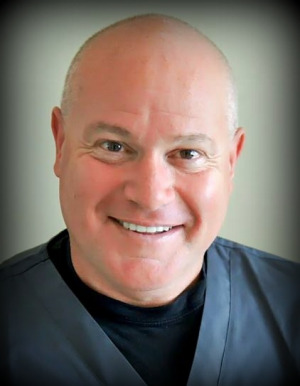 We are lucky to have Dr. Scott Olson working with us here at Issaquah Family Dental providing exceptional service and care to our patients needing tooth extractions; especially wisdom teeth. Dr. Olson and his assistants are highly skilled in extractions, related oral surgery, and of course, patient comfort! Dr. Scott Olson, DDS was born and raised in North St. Paul, Minnesota. He attended the University of Minnesota and the School of Dentistry where he achieved his DDS in 1989. After graduation he was commissioned into the U.S. Navy Dental Corps, received advanced training, served through two Gulf Wars, and retired in 2006 after more than 31 years continuous service. Dr. Olson specializes in surgical extractions, placement of immediate dentures for severely compromised patients, and offers oral conscious sedation for comfort and relaxation, as well as nitrous oxide for relief of pain and anxiety. Olson has made his home in Poulsbo since 2003 with his wife Suzanne and their three children. Appointments with Dr. Olson are available on designated weekends throughout the year.